TCNS provides a child-centered, play-based learning environment.We offer a balanced program supporting individual strengths and stressing the development of the whole child. Children explore a variety of organized and free-play activities designed to promote developmentally appropriate cognitive, social, and motor skills. Through meaningful free-play experiences, children develop crucial interpersonal and executive function skills that build the foundation for future success. Read about our teachers. At TCNS we know learning is messy work. 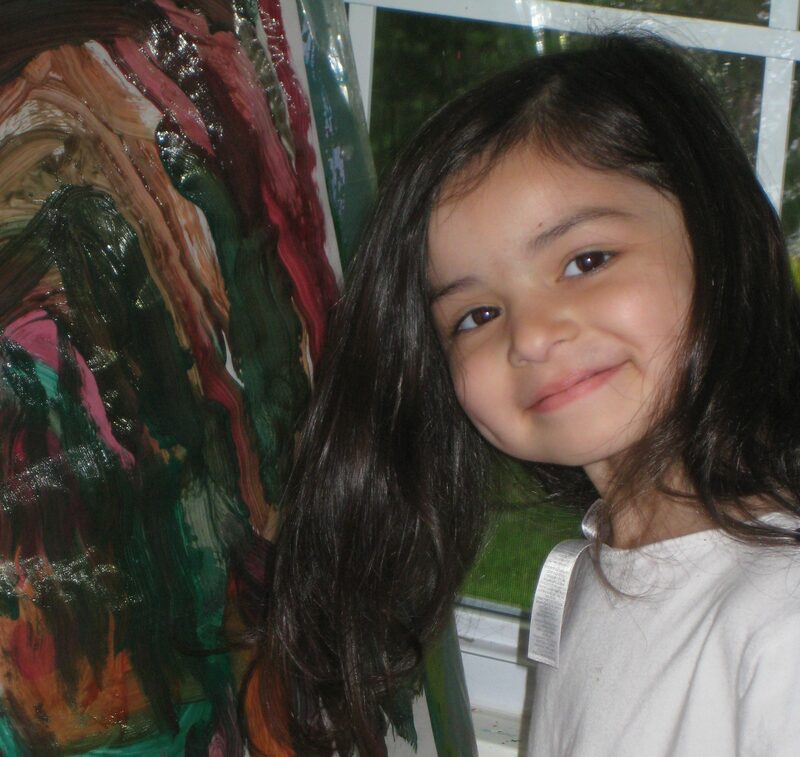 Easel painting, art and sensory activities are always readily available and children are encouraged to experiment and explore classroom materials. Outside play is an essential part of our day and we play outside in all kinds of weather. On the playground children explore nature, dig, build, climb and run, building critical gross motor and thinking skills. Our preschool classes also enjoy a variety of local field trips and hikes. We hike at Taughannock Falls State Park seasonally and regularly visit the Trumansburg library, fire station, police station, Juniper Manor, kindergarten, dentist, eye doctor, local restaurants, farms and orchards. Families frequently join us on these field trips. The program is great! There’s a lot of variety and it’s constantly improving and adding new ideas. Terrific Twos is an introductory class for two-year old children ready to leave their parent, explore the classroom and practice social skills. Children in the Terrific Twos class attend Tuesday and Thursday from 9-11:30 and are not expected to be toilet trained. The Terrific Twos class registers 8 children with two teachers in the classroom. Children ages three to five attend preschool classes from 9-noon. Families choose from a schedule of two, three or five mornings a week. 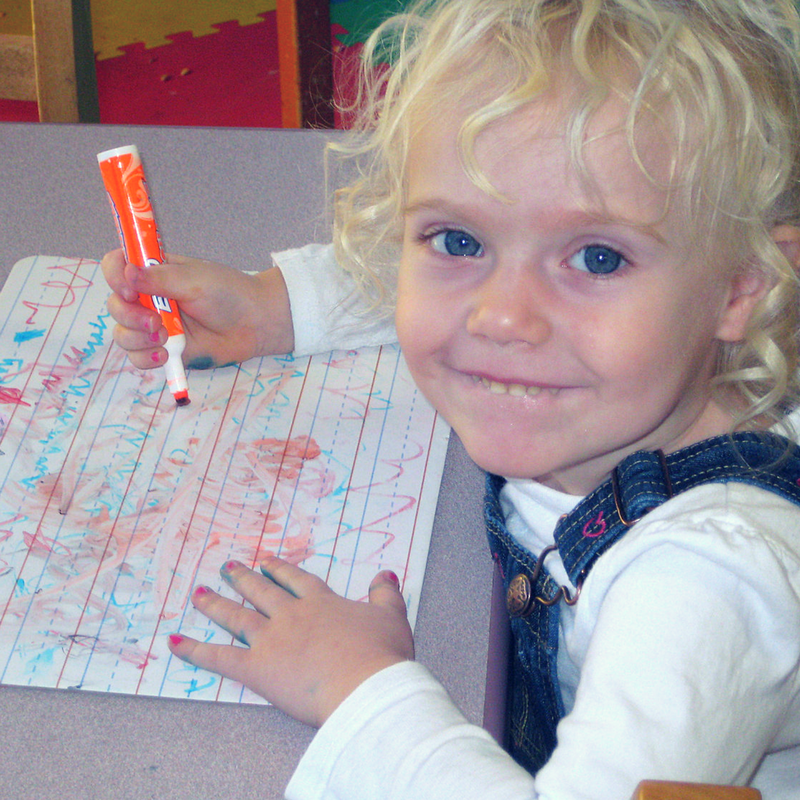 Preschool classes enroll up to 18 children with 3 teachers and 2 parent helpers each day. The mixed age environment supports a wide range of learning styles and abilities and offers children the opportunity to become role models for younger children. It’s such a warm and welcoming atmosphere! The children are greeted each day with a smile! In addition to regular classroom activities, children in the preschool classes build an awareness of their community through regular field trips to local businesses. Children help build classroom community through their involvement with friend of the week, show & tell, and daily “jobs”. Kids love our playground toys!